Business can register and match to Federal, State and Local opportunities, and find qualified job seekers. Find job opportunities by matching skill sets to open positions that employers are posting. Government agencies have the ability to post local and state opportunities for local businesses. Bring investment to local businesses by allowing successful businesses to communicate to industry leaders to gain additional resources. GovTideSM is a Fully Integrated, Hosted, Economic Development System w/Centralized Data To Implement Effective Public Policy & Programs. The only software that is needed to use GovTide is an internet browser. Internet Explorer, Google Chrome, or Mozilla Firefox are all the system requires. There is no software overhead by installation or management of a software package, no license key to remember, nor any troublesome reinstallation needed. Just point, and click. The ‘Cloud’ itself is the virtualization of resources – networks, servers, applications, data storage and services – which the end user has on-demand access to. These resources can be provided with minimal management or service provider interaction. GovTide is Cloud-ready, and has been used by State and Federal Governments for over 8 years. Discover how GovTideSM enables and saves organizations through Cloud Computing. This feature is the most important feature of GovTide. Businesses will register and have the ability to match Federal, State and local contracts based upon NAICS codes and/or keywords within the business profile. Matching happens continually throughout the day, and businesses will receive emails when they have matched an opportunity (contract, solicitation, sub-contracting opportunity, etc). Businesses then have the ability to respond to the opportunity right inside of GovTideSM. For many contracts that could be found inside of GovTide, businesses may not have all the resources, requirements, or staff to be able to be the prime contractor. As such, there is a subcontracting component to GovTide which will allow prime contractors to solicit subcontractors for inclusion in a larger solicitation response. 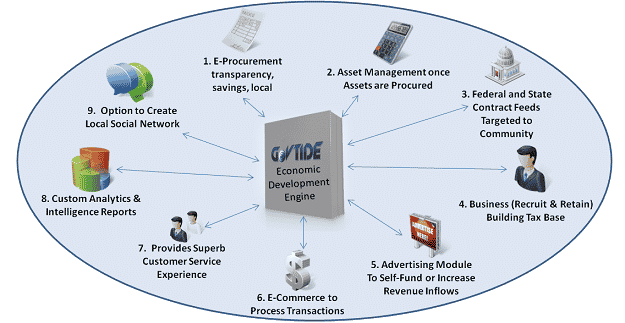 This way, all subcontractors are exposed to the Government contract at the time of bid submission, making the GovTide system one of the most transparent systems available for economic development. If a business is in need of employees, or contractors, they will have the ability to post this job in the GovTide system. Individual / job seeker users will match to the job posting within hours and the business will have resumes to review and begin the hiring process. As an important part of economic development is the creation of jobs, GovTide will enable individuals to post their resume and create a free profile. This feature will enable the job seeker to find employment through vendors that are utilizing the GovTide installation and mean that their resume is available 24x7x365 to employers looking for employees. The GovTide system will constantly look for the best possible position for the job seeker, and provide a list of job matches for the user profile. GovTide can be used to respond to those job postings and help the hiring process of qualified job seekers. Government users can post solicitations. Businesses will match those solicitations and be able to submit bids. Bids can be evaluated and selected based upon the evaluation criteria set forth by the organization. By utilizing GovTide’s Reverse Auction system, the Government receives many qualified bids that push costs down, while still supplying the necessary information needed for boosting efficiency, and maximizing vendor diversity. Utilizing this system will also produce detailed procurement documentation, enable agility and mitigate risk while fueling economic growth. GovTide’s customizable platform can be used to standardize and automate bidding, approvals, and even 1099 generation in a unified and streamlined process. Additionally, compliance features (certifications, regulatory, etc.) can be built in to ensure local governments adhere to the law. Each instance is customizable and flexible. Utilizing GovTide’s feature rich reporting system, Government agencies can search for vendors by any number of options, and provide reporting details on businesses and individual job seekers. These reports evaluate economic growth and performance, along with short term goals such as job seekers that have registered in the past 24, 48 and 72 hours. Reports include powerful data collection and analytical capabilities to answer the questions you want answered. GovTide is flexible. The system can be setup as a free model, whereby users/businesses can register for free or by having users register and pay a one time or recurring amount to be a part of the portal. GovTideSM can be self sustaining as an economic development tool, or utilized as a system that allows for funding from federal, state or local governmental agencies. By including an advertising module with your GovTide installation, you’ll be adding an additional revenue stream for Premium Ads on search results. This self service PPC/CPC/CPM advertising module will build additional value to your GovTide installation by supporting the service directly through advertising. 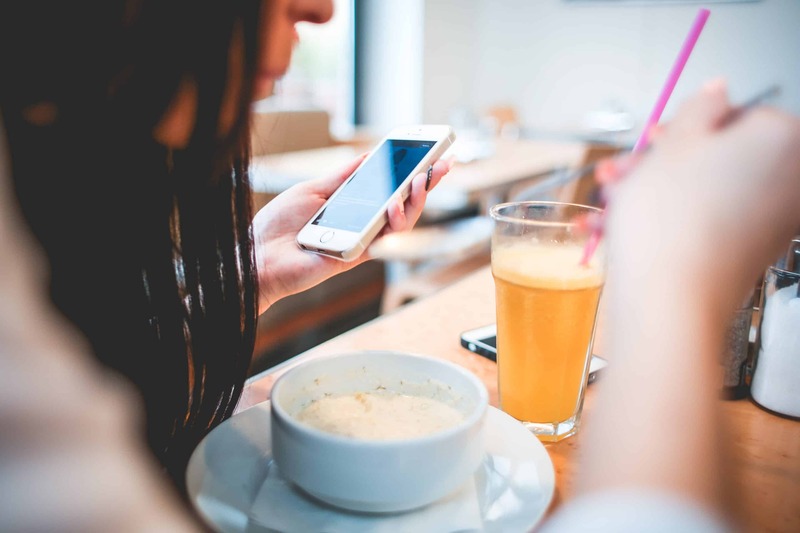 Ads are delivered to Business Users and Government users through searches conducted daily. This Rich media interactive advertising also provides standard and custom reports with GUI. GovTide is available for Investment Bankers, Private Equity, Venture Capital, and Angel funds. Through it’s registration process, GovTide will enable Investors to identify as much of their profile as is needed to conduct matching to businesses that are of interest to the Investor. Through GovTide’s advanced matching algorithms, an Investor will match to a Business that is in the desired industries with access to profiles of those businesses. GovTide will also inform Investors when a Business has won a federal contract, continuing to enable the Investor to invest with confidence. Not only will Investors match to business profiles, but each GovTide business is asked specific information upon registration or update of their profile which allows GovTide to pattern and profile the business in many different methods. Investors will be able to match to specific investment size, business size, industry, etc. The Investor module will also allow Investors to track competitor companies in the industry, and learn about their successes.